Keeping the house or flat warm during cold weather can be a real problem, especially if the home has high ceilings and large rooms. Measures to insulate properties include filling wall cavities with special foam, where this is possible, installing double-glazing, and keeping doors closed to prevent draughts. As the cost of fuel for heating appears to spiral ever upwards, homeowners are looking for other options to help with insulating their properties, rather than putting on another sweater or two. 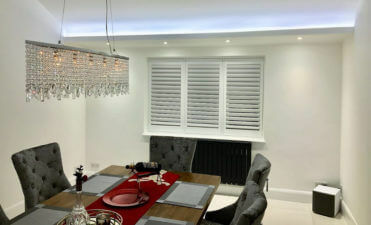 This is where the use of plantation shutters can provide that extra layer of thermal protection and help cut down those soaring heating bills. 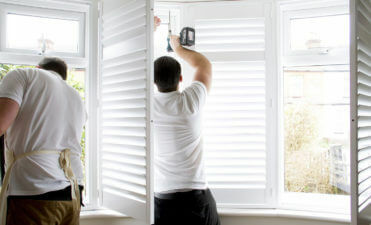 How shutters can help Window shutters are an extremely versatile type of covering for all shapes and sizes of windows. Although coverings such as curtains and blinds can help keep some heat in, they are not as effective as shutters because these are specifically designed to fit the window perfectly. They are particularly useful for large window spaces where heat seeps out even if the windows are double-glazed but uncovered. Plantation shutters are made of various types of wood, and because they are measured to fit individual window openings they provide an extra layer of insulation when they are closed. The most familiar style is the louvre shutter, a number of horizontal slats of wood attached to a vertical frame. Depending on the shape of the window the slats can be quite short when shutters are designed to fit a rectangular, portrait-shaped window, or longer for one shaped in landscape style. The majority of these types of shutter have adjustable slats, so that when the shutters are closed louvre slats can be moved and angled either up or down to let in light. During daylight hours in winter, houses that have large windows facing south, can keep quite warm when the sun is shining, so shutters may be left open. As night falls and temperatures drop the shutters can be closed fully, louvre slats also closed, to give that additional protection against the cold. 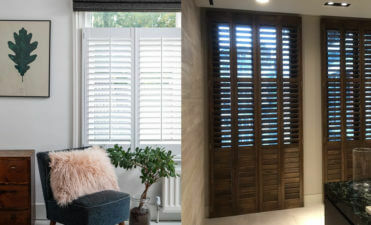 Aesthetic and cost effective Fixtures and fittings for room decorations are a very personal choice, but the range of styles and colours available for plantation shutters is a compelling reason to explore them further. 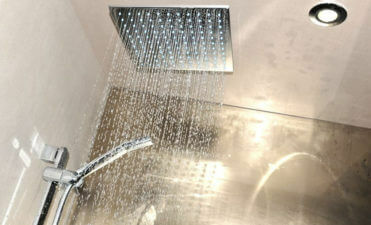 They are hardwearing and attractive, and can be fitted into any room in the house. For areas that have regular moisture in the air, such as kitchens, utility rooms and bathrooms, it is advisable to install waterproof shutters so no moisture can be absorbed into the wood, potentially distorting their shape. Brightly coloured shutters can cheer up the décor in a room, as well as being highly practical. If the time comes to sell the property, having window shutters is a positive addition for the sale, as the majority of them will be left in situ having been made to fit the windows. It saves a new buyer having to worry about other types of draperies, and although they may choose to change them at a later date they have custom-made coverings with very good insulation qualities.